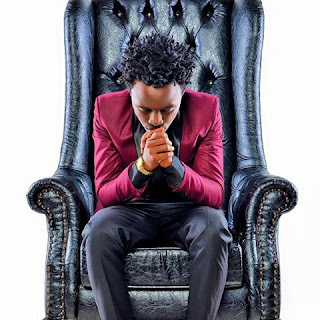 Kenyan gospel music lovers have taken to social media to express their shock after learning that a group of celebrated gospel stars have been burning the mid night oil scheming a plan to tarnish the name of their fellow musician, Bahati. It’s alleged that the gospel musicians want to portray Bahati as a womanizer, bad boy and alcoholic who has mastered the art of hypocrisy. According to reports, there has been an elaborate plan to bribe bloggers and a number of ladies to portray the Barua hit maker in bad light. Apparently, the plan involves paying two ladies to publicly declare that they have been having illicit affairs with the young gospel star that has resulted to him siring children out of wedlock. The hatchers of the plan also want Bahati to be portrayed as an alcoholic who spends most of his free time in secluded corners of popular Night Clubs. In addition, there is a plan to discredit Bahati as the legitimate winner of the prestigious Groove Award, via peddling claims that corporates with dip pockets paid organizers of the awards to favor Bahati for their own commercial benefit. The endless drama surrounding the former street boy seems to have taken a toll on him as he has been silent for a while, having deleted all his Instagram posts and abandon his Facebook page. Fans are now questioning the legitimacy of the local gospel industry with many arguing that many musicians have turned the industry into an embarrassing circus. If you are defeated never drag people in your mess , whoever plans such a thing on Bahati should always remember that God is never asleep he is watching every move and what goes around comes around . Ata kama ndo hua watu wanatafuta kutrend wev heard enough of "the good boy" bahati ,i have seen that whatsapp chart saying atakua exposed soon and that non of his awards are or were legitimately won ... If he also know he is innocent and believe in his God,mbona ametap out na kuwacha mafans wake hanging ati he is out of the gospel industry till God advices him otherwise ..